A space for discussion to complement our screenings. Here you can find new writing and information about our upcoming screenings and events. And we take for granted that foreign language films will have been sensitively, accurately translated, and that the subtitles will be cued delicately and precisely around cuts and camera moves. We assume that if something (like a song) is not translated that is because it doesn’t matter. We assume that these are decisions taken by thoughtful, informed people who grasp just what the makers of often complex and multilayered works have in mind. Of course standards have been very patchy. Watching Tarkovsky’s Andrei Rublyov in the cinema on 35mm in the late 70s and 80s was once an ordeal: subtitles for the only print available were mistimed, placed almost randomly, and worst of all mixed up between reels so that the audience had to memorise the gist and wait for a later reel when the translation would be helpful. Todd Haynes on Chantal Akerman. With thanks to Todd Haynes and David Cox. After the Chantal Akerman retrospective and exhibition – thank you. A Nos Amours is currently taking a short break after the intense activity of last year. We would like to thank our team members, especially Keifer Taylor, Eve Marguerite, Charlotte Maconochie and Kim Goldsmith. Honourable mentions to Ella Harris and Ioana Salagean also. We thank the numerous others who have worked on screenings and Akerman related events, but if we omit anyone, apologies! At ICA we were lucky to work with James King (now to be found at Curzon Artificial Eye) and then Nico Marzano. The Cinema committed itself completely and generously, over two years, without real comfort that any tickets would be sold. Our gratitude is boundless. 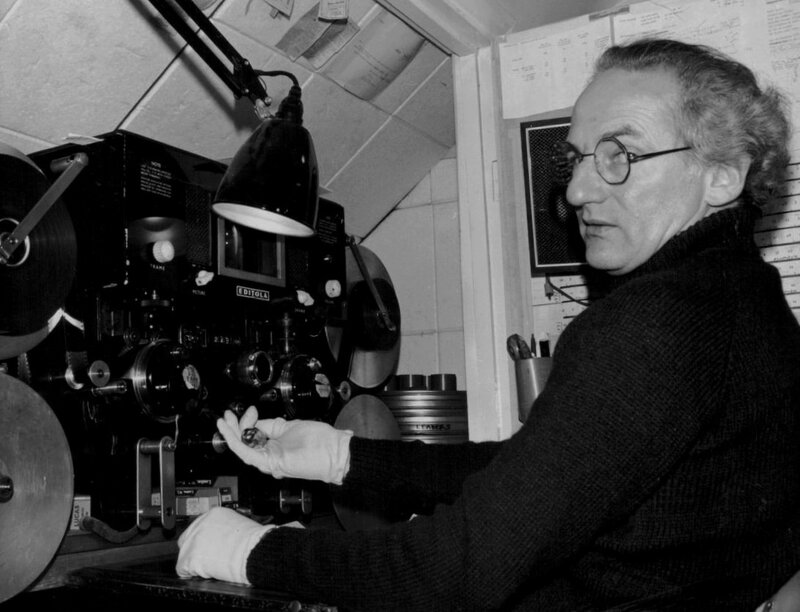 We have been blessed for the retrospective with a marvellous team of projectionists of zen-like calm, especialy David Powell, Roger Holland and Tim Hale. The many formats and subtitling issues were always dealt with deftly and without fuss. We also thank the press and marketing team at ICA, in particular Annie Rudnick, Lucia Genziani, Naomi Crowther, Maya Caspari, Nick Santos-Pedro and Sophie Coke-Steel, and the front of house team led by Kathryn Lloyd. Thanks also to Executive Director of ICA Gregor Muir for his support and who spoke so effusively at the farewell screening of La folie Almayer. We thank publicist Charles MacDonald for his superb work on the nation-wide Je, Tu, Il, Elle screenings. We also thank Picturehouse’s Paul Ridd, a delightful and capable enthusiast for the project. Thanks to the many cinemas involved. At JW3 Centre, who hosted our mid-retrospective symposium, we thank Kate Greenspon and her colleagues. At Regents Street Cinema, we thank Shira Macleod for her help and support with the presentation of No Home Movie. Nina Danino, Laura Mulvey, Xiaolu Guo, Chris Petit, Richard Kwietniowski , Lucy Cash, Carol Morley, Claire Atherton, Ruth Novaczek, Olaf Möller, Keifer Taylor , John Ellis , Muriel Tinel-Temple, David Thompson, Nick James and Gregor Muir. And of course we would like to thank the very many of you who attended screenings and events, and who were the only reason to attempt a retrospective in the first place. We thank friends in the press and those who tweeted and retweeted, those who blogged or mentioned these events. Without word of mouth and recommendations we may not have connected films with audience. Above all we would like to thank Jo Blair of Picturehouse Cinemas whose superb enthusiasm, creativity and energy not only enabled the retrospective but also the national screenings of Je Tu Il Elle. Without Jo there would have been no retrospective. Jo Blair is a model of can-do pragmatism and optimism, and whose presence at screenings was always a blessing. There were three funders for the retrospective, and we are very grateful to have found their crucial support. We thank therefore the BFI and Clare Harwood and her team. We thank Film London and Flora Menzies and Carina Volkes in particular. We thank Wallonia-Bruxelles International and Mélissa Milioto and Aurore Crétel in particular. Moving on to the exhibition Chantal Akerman NOW at Ambika P3, we would like to thank deeply our co-curator Michael Maziere, and those on the University of Westminster team who enabled and facilitated this ambitious show especially Heather Blair. We thank Professor Rosie Thomas who championed the exhibition and introduced us to our co-curator Michael. We thank Professor Katherine Heron, Director of P3, who offered us every support and assistance. We are grateful to the project’s publicist Kate Burvill who secured the attention Chantal Akerman deserved. We thank Marian Goodman Gallery for giving us both financial and moral support. We would especially like to thank the tirelessly passionate Carole Billy and Senior Director Andrew Leslie Heyward. We also thank all the distributors and rights owners who helped bring the films and works to light and who are such careful custodians of Chantal Akerman's oeuvre and legacy. We mention in particular Lore Gablier formerly of Paradise Films, and Clémentine De Blieck and Nicola Mazzanti at the Cinematek Royale in Brussels. We salute and thank Chantal's friends and collaborators who helped us carry through our retrospective and the exhibition, not least after the devastating news of November last year. Love and respect therefore to Sylviane Akerman, Claire Atherton, Maryline Watelet. Christian Marti and Pascal Willekens. ​It is impossible to find adequate words to describe how wonderful it was to have enjoyed Chantal’s participation in the retrospective, symposium and the exhibition. Her boundless charm, wit and intelligence was a delight to us all. She is profoundly missed, and yet it has been a joy to have become so involved with her work and with her in person. Join the A Nos Amours mailing list and receive notifications about new screenings and blog postings.